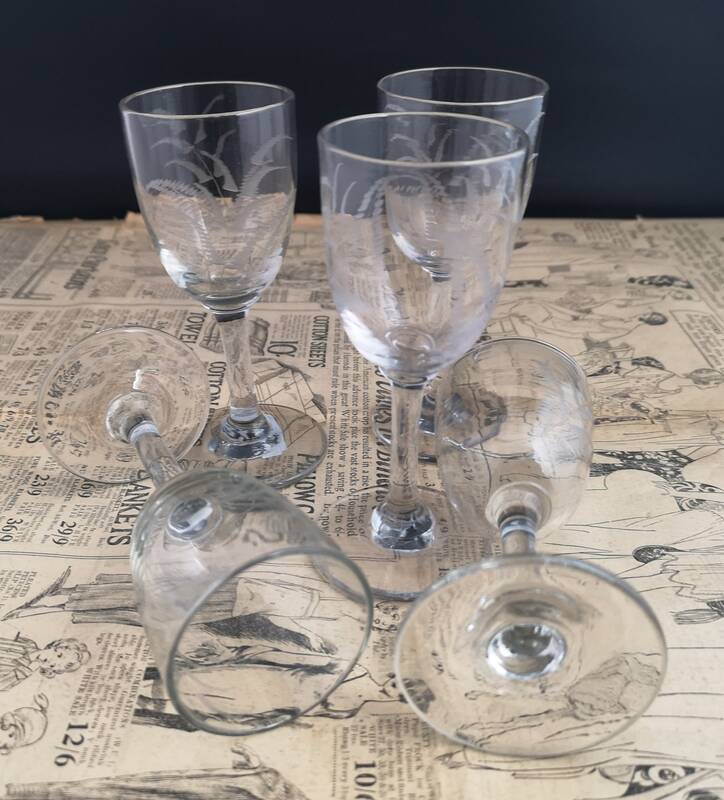 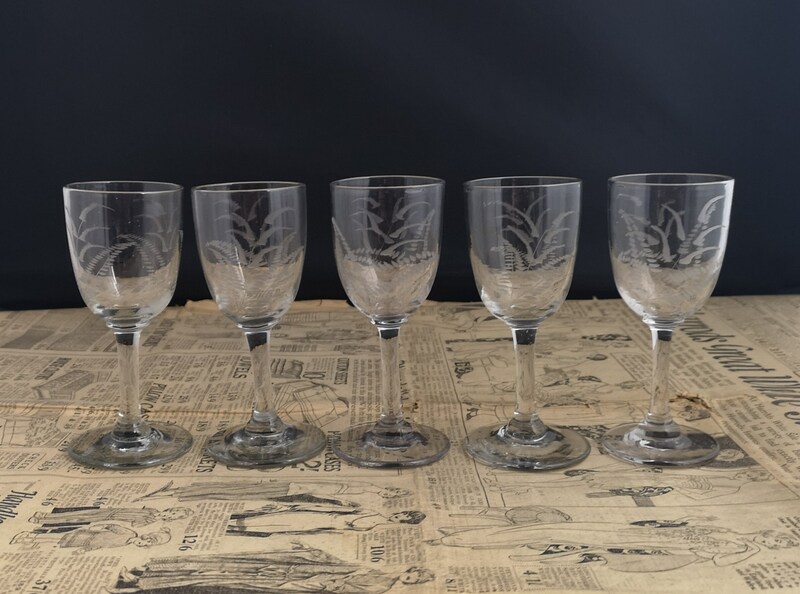 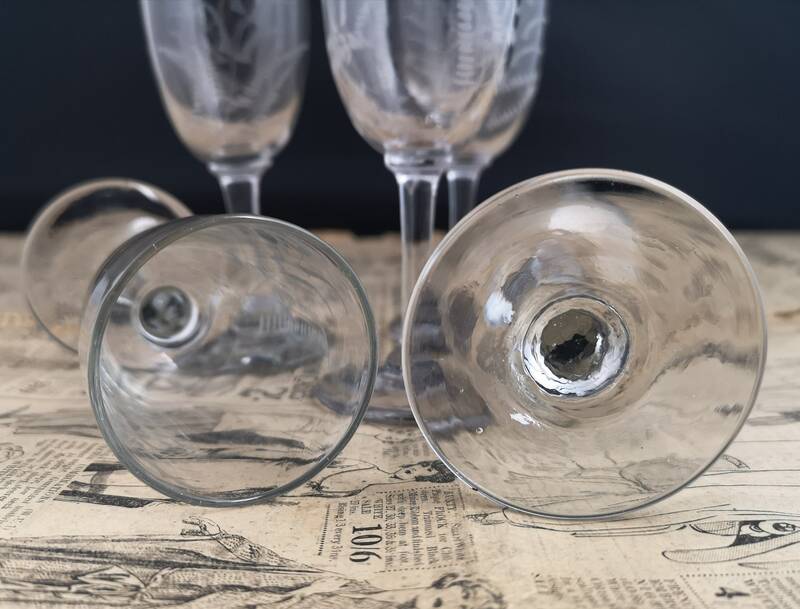 A pretty set of 5 Victorian Sherry glasses. 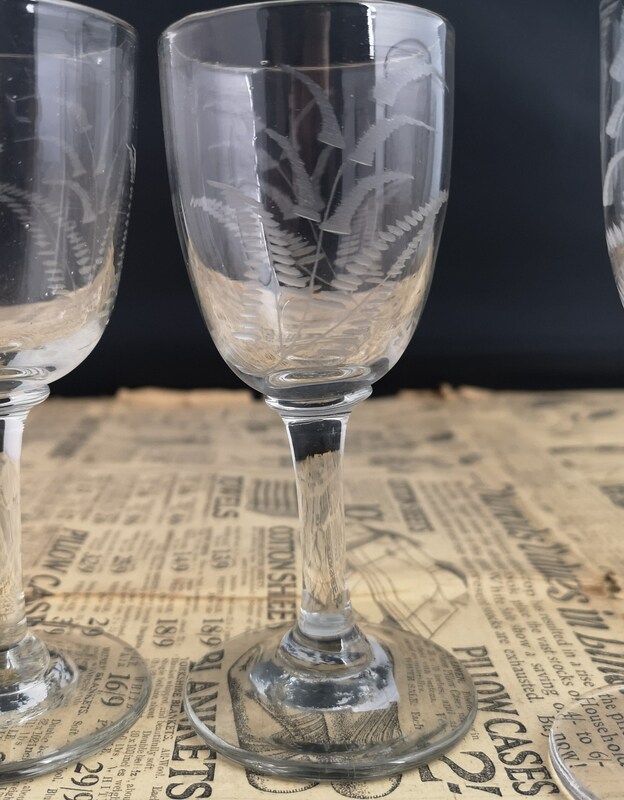 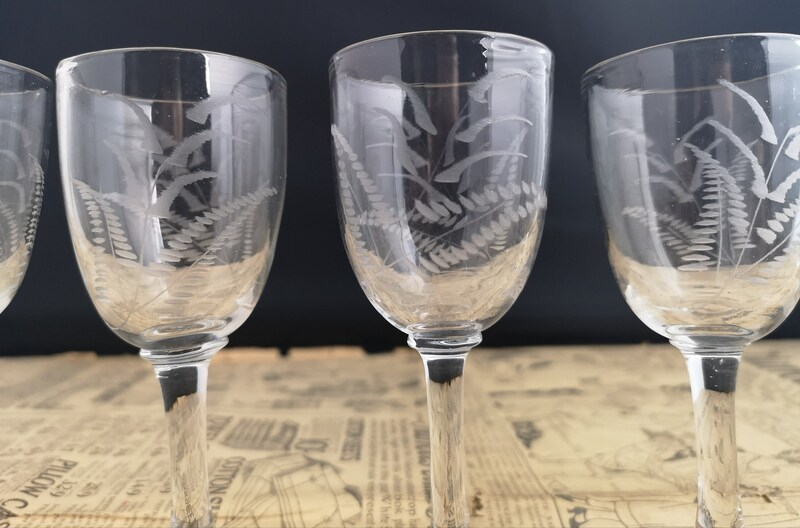 Etched with delicate ferns on each with slender stems. 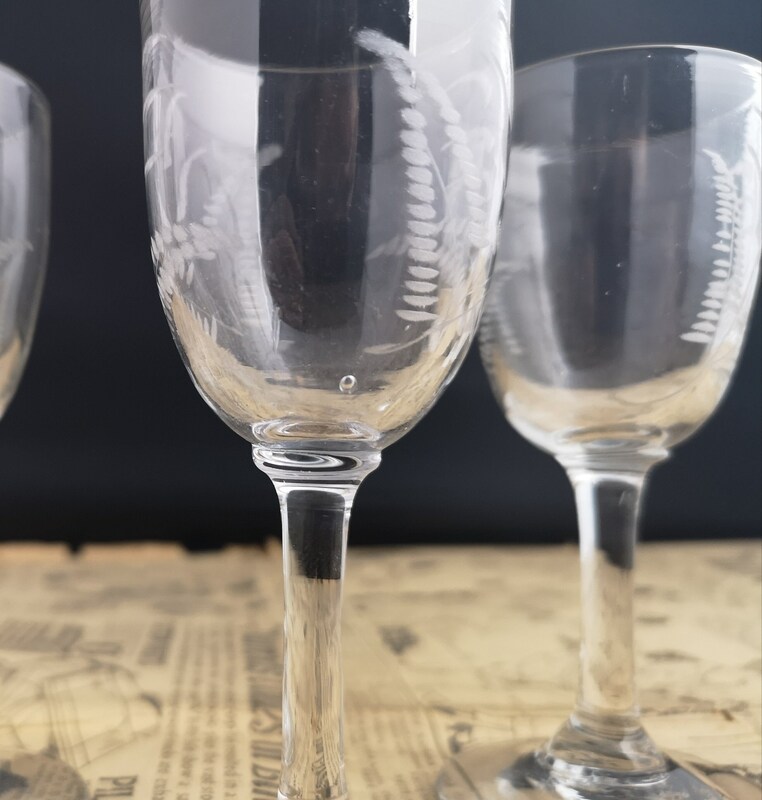 Approx 5" height and 2" diameter at the top. 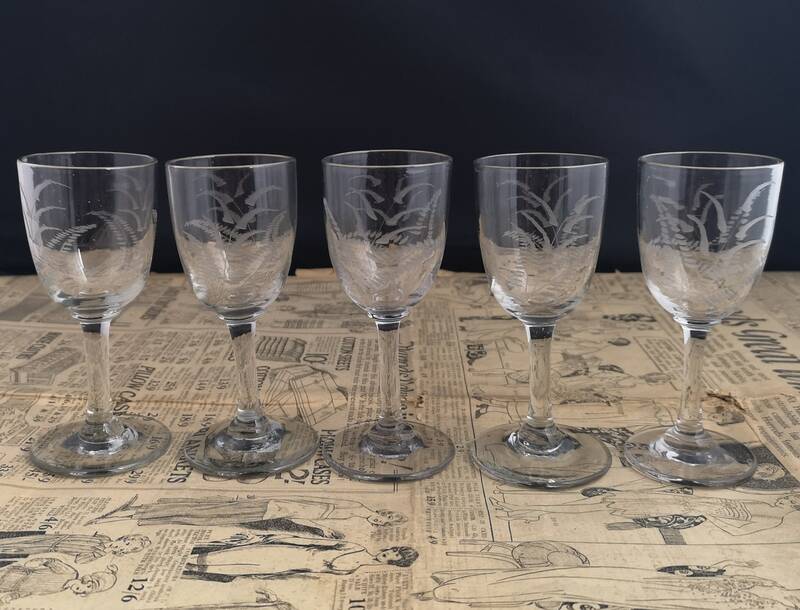 A nice antique set in good condition.